Goblin's Grub Popcorn Tin is rated 4.7 out of 5 by 3. Rated 5 out of 5 by MA12 from Great mixes I sent this to my son for his birthday. He loved the different combinations of popcorn. It was a big hit. Rated 5 out of 5 by cheryl from Good experience and product I bought this for my niece who is a freshman in college to share with her dorm mates during midterms. It arrived the day before Halloween - good timing! She informs me they all appreciated and enjoyed it very much. 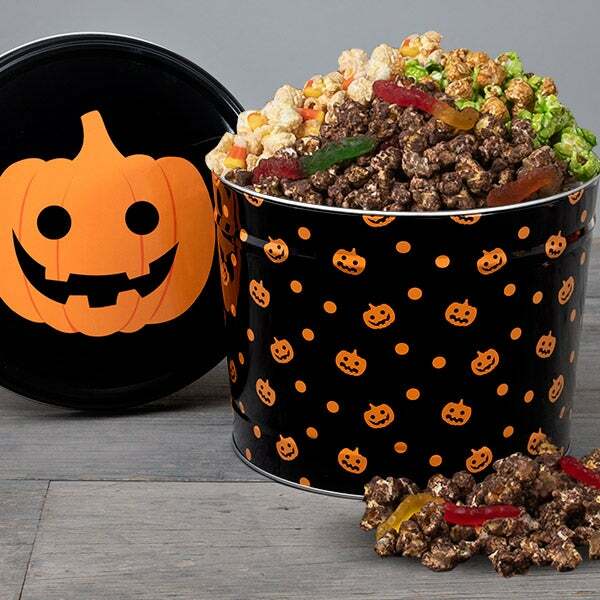 This scarily delicious Halloween popcorn tin with 3 festive flavors is the perfect way to delight the little monsters in your life! 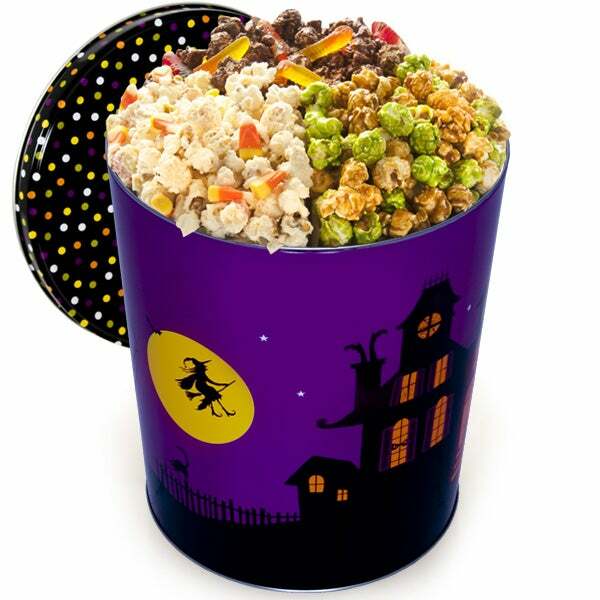 Inside a boo-tiful Halloween tin are three batty flavors of our handcrafted popcorn, including White Chocolate Candy Corn, chocolate-covered Worms in the Dirt, and Caramel Apple, creating a delicious treat that's perfect for this Halloween!